CytoSolve® | Big Pharma is the disease. We’re the cure. Big Pharma is the disease. We Provide a Revolutionary 21st Century Platform for Research, Development, and Testing of Pharmaceuticals, Nutraceuticals and Cosmeceuticals, Avoiding the Need for Animal Testing. 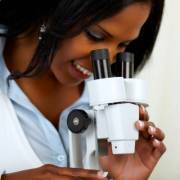 Accelerating scientific discovery by enabling a new paradigm for science by distilling global research and development to understand large-scale systems architecture of disease and complex biological phenomena. 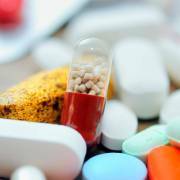 Lowering the cost of medicine by revolutionizing the medieval and archaic drug development processes through in silico mechanistic modeling to study phenomenon not possible through in vitro and in vivo experiments. 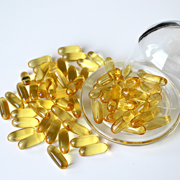 Getting the bang for the buck by knowing what ingredients really work, and what are fillers, while reducing toxicity and risk. 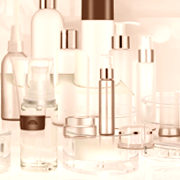 Eliminating animal testing by discovering safe and efficacious products to make you look and feel better. 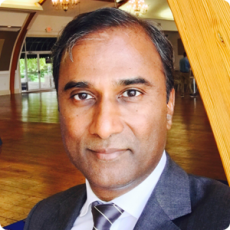 Dr. Shiva Ayyadurai, the Founder and CEO of CytoSolve, Inc., is the Inventor of Email and holds 4 degrees from MIT. He is a Fulbright Scholar and has started 7 successful hi-tech companies including EchoMail, CytoSolve and Systems Health. He is also the Founder of Center for Integrative Systems that performs fundamental research in systems thinking and is the home of Innovation Corps and C.L.E.A.N./R.A.W. certifications. He is now a candidate for US Senate from Massachusetts, running as an Independent. 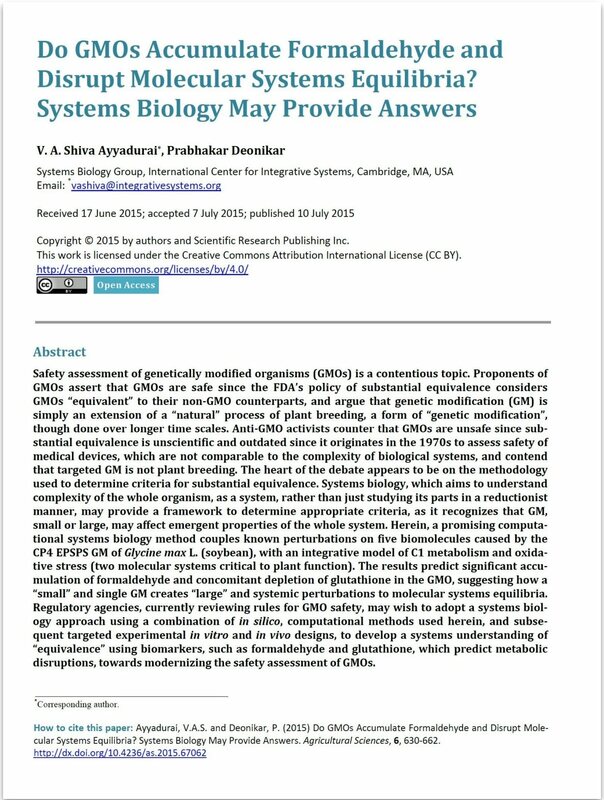 Download this pioneering research paper published in the peer-reviewed journal Agricultural Sciences, and performed using CytoSolve, by applying molecular diagnostics and modern computational systems biology methods to model the effects of genetic modification (GM) on critical molecular pathways affecting plant physiology. Please submit the form below to download the research paper. The download link will be sent to your email address. avoids the need for unnecessary animal testing.